Growing does not stop at the front door of our house. Before we transplanted to Western WA, I gave away all but one of my house plants, so this year I have been starting a new collection. 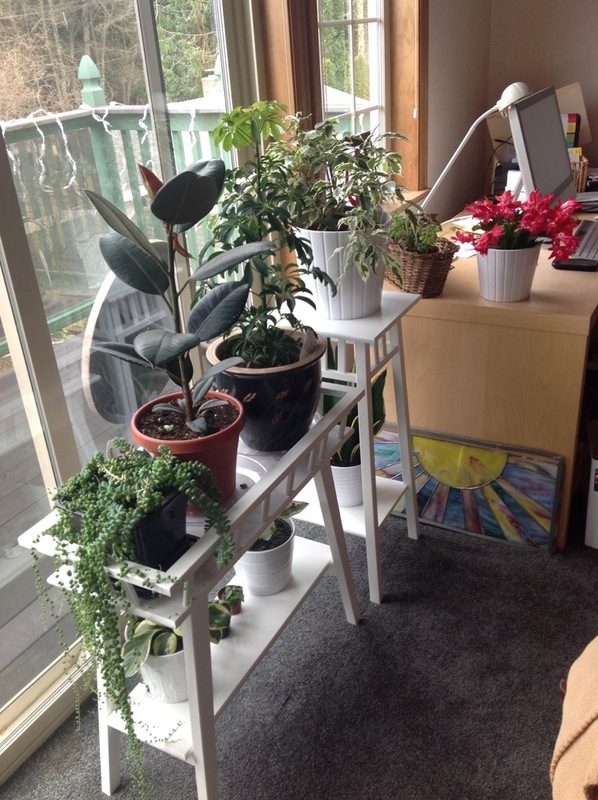 Now that things are frosty outdoors, I have been pampering the indoor plants. I went shopping for a Holiday Pointsetia and came home with a Christmas Cactus and these two cute pots of mixed outdoor plants. 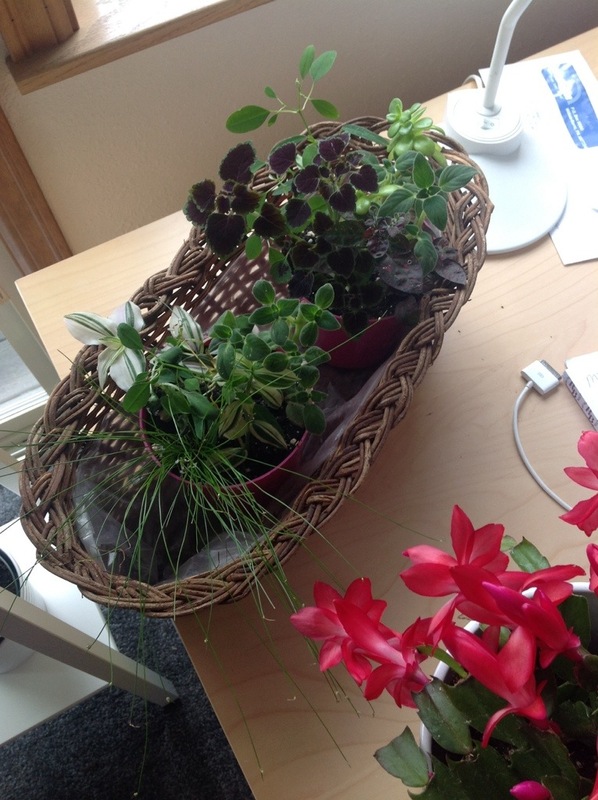 I see a Live Wire grass, a coleus, and other small plants. I bought two pots and put them in an old cache pot on my desk. I never did get a Pointsetia. AWESOME! You still have room for more! The cyclamen is a lovely colour. 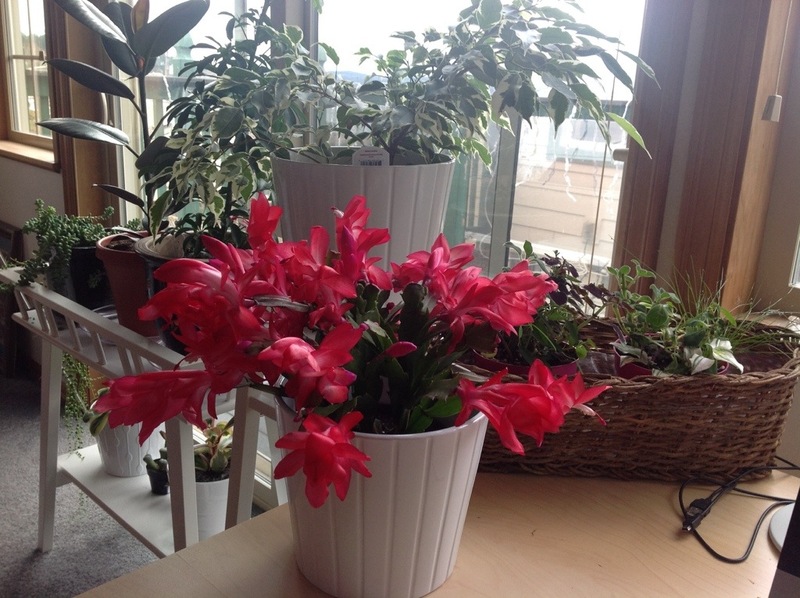 Oh actually I think it is an Easter cactus not a cyclamen. Still it’s a lovely colour.